Secure your environment without installing software or hardware. 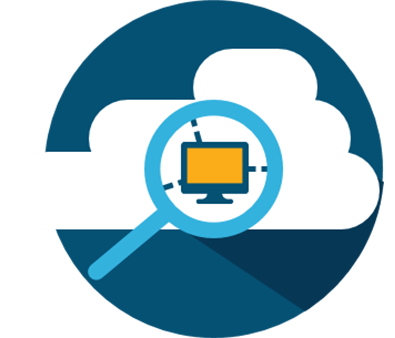 Cisco Stealthwatch Cloud is a SaaS-based, efficient way to gain visibility and threat detection. Stealthwatch Cloud provides the actionable security intelligence and visibility necessary to identify malicious activities in real time. You can quickly respond before a security incident becomes a devastating breach. And now for a limited time when you install a free trial of Stealthwatch Cloud in a production AWS VPC environment by December 15, 2018, you'll receive your own Free Luxor Mini Auto-Focusing Pocket Flashlight, the ultimate in personal visibility and security that outperforms all other lights in its class (while supplies last). 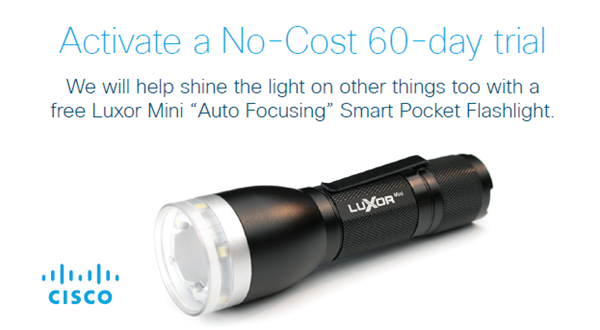 Qualifying trials will recieve a Free Luxor Mini Digital Focusing Flashlight* (a very cool $70 smart device). So, go ahead and add more security visibility to things at home! Start you trial to qualify and collect your free Luxor Flashlight today! *Luxor Mini Flashlight offer is for new Stealthwatch Cloud clients only. To qualify for this offer, recipients must install a free trial of Stealthwatch Cloud solution in a production AWS VPC environment, offer good while supplies last!